Year-round direct passenger flights between Alaska and the northeast China city of Harbin, a hub of more than 10 million people, are set to start in 2019. The deal comes after more than a year of negotiations between Alaska and China, Gov. Bill Walker's office said in a statement sent Wednesday. Walker has been working to strengthen ties with China, Alaska's largest trading partner. Chinese President Xi Jinping stopped in Anchorage in April 2017 and met with Walker. In June this year, a Chinese delegation visited Anchorage to talk to business leaders about trade opportunities between Alaska and Harbin. "Direct flights will enable our regions to grow even closer, culturally and economically," Heilongjiang Province Gov. Wang Wentao said in the statement from Walker's office. 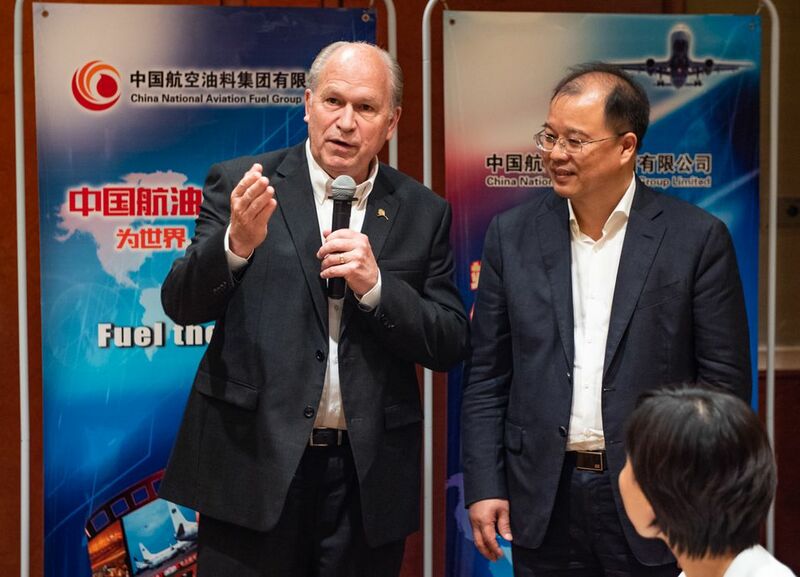 The flight time from Anchorage to Harbin is 6 1/2 hours, making it the shortest connection between the U.S. and China, Walker's office said. He hailed the "economic boost" the flights will create. A short list of airlines are negotiating to provide the service, Walker's office said. Negotiations are set to wrap up by year's end so flights can begin next summer. A final agreement detailing pricing and scheduling is expected by the end of 2018.